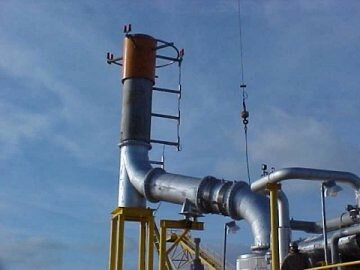 U.S. Bellows, Inc. designed and fabricated this expansion joint exhaust assembly for an oil refinery in Texas. 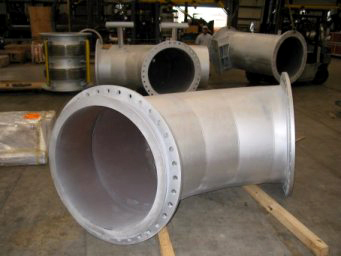 This expansion joint is offset for an offshore platform and weighs approximately 8,000 lbs. It has a design pressure and temperature of 1 PSIG and 1000 degrees, respectively. The air test was conducted to detect any leaks.